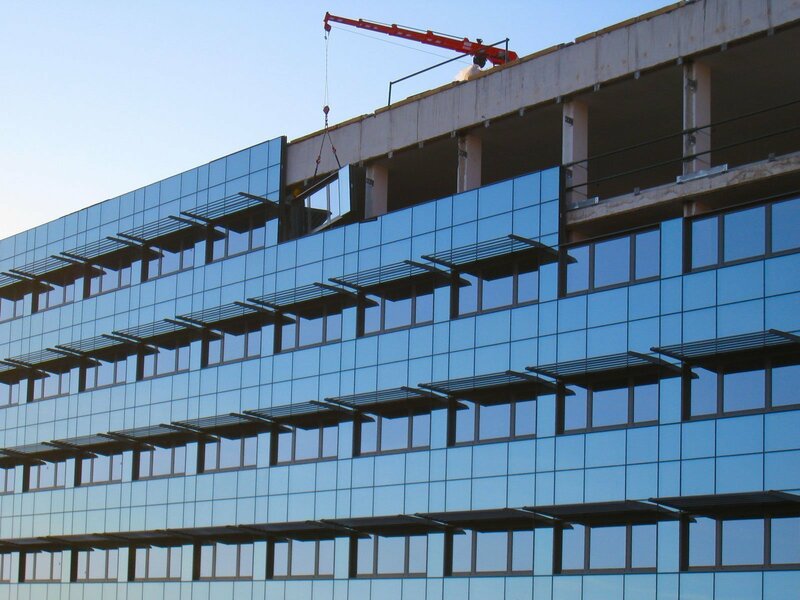 Permasteelisa was our first customer in 1999. 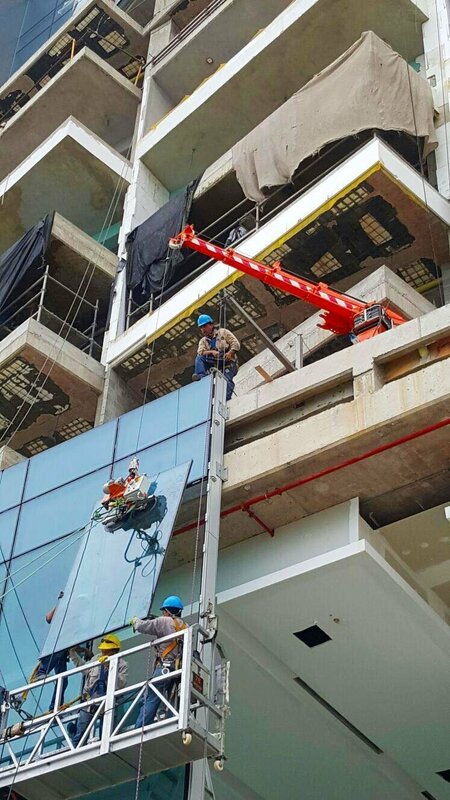 This global leading manufacturer of glazed curtain walls uses Jekko minicranes on skyscrapers all over the world. 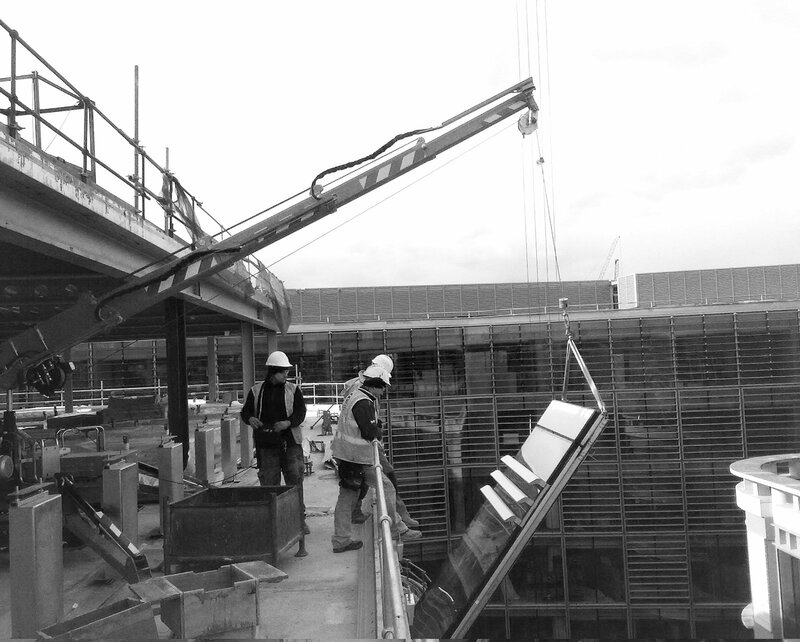 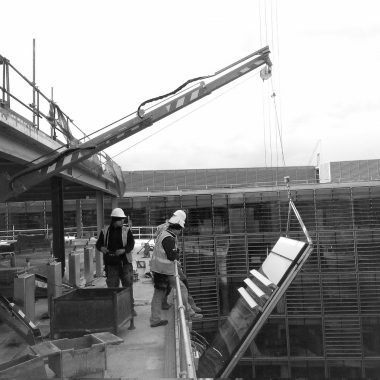 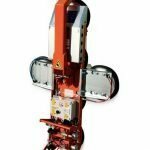 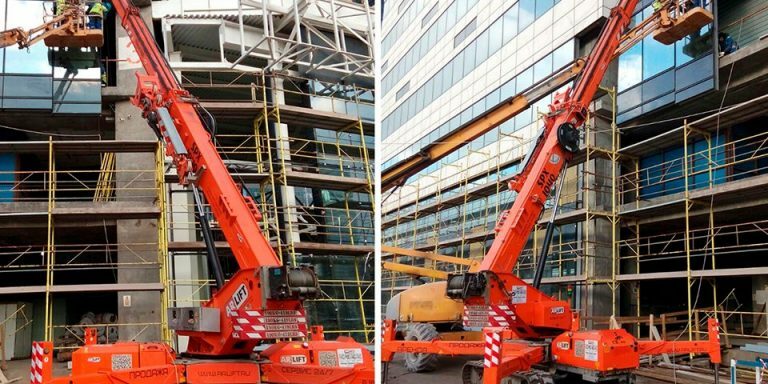 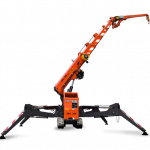 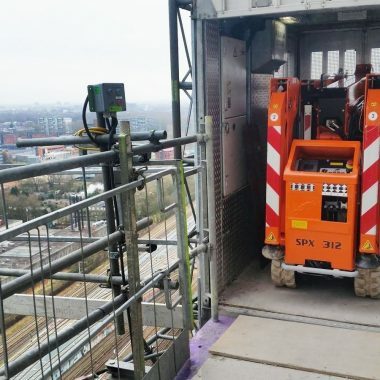 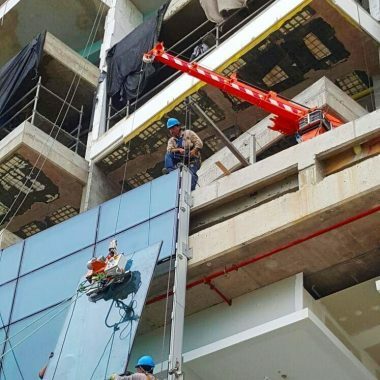 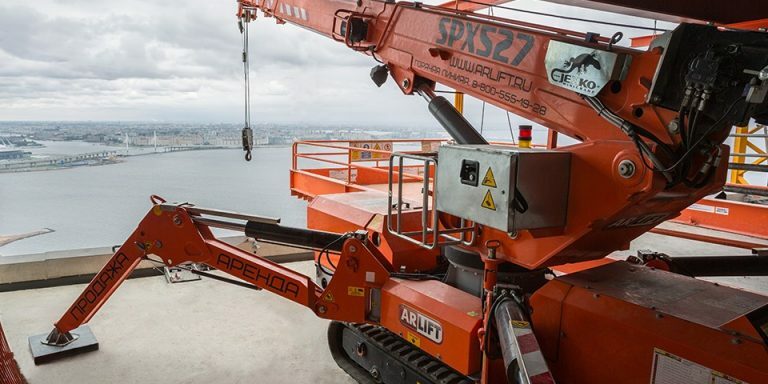 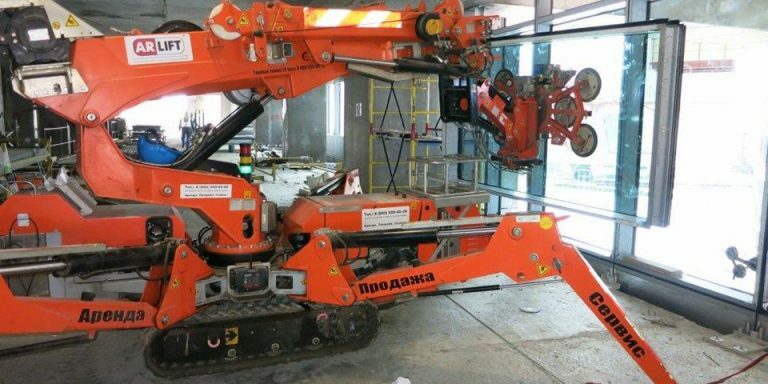 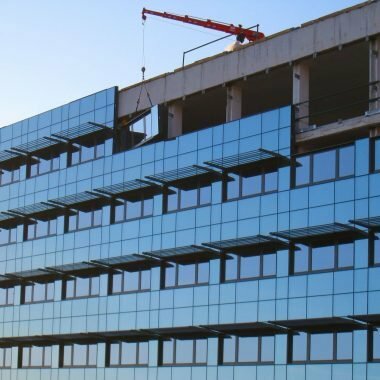 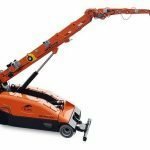 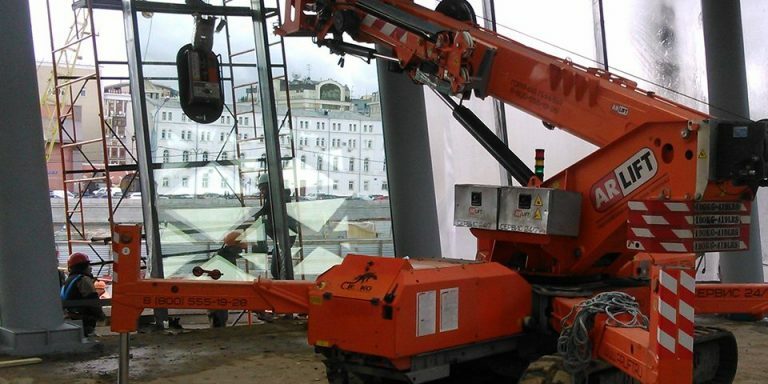 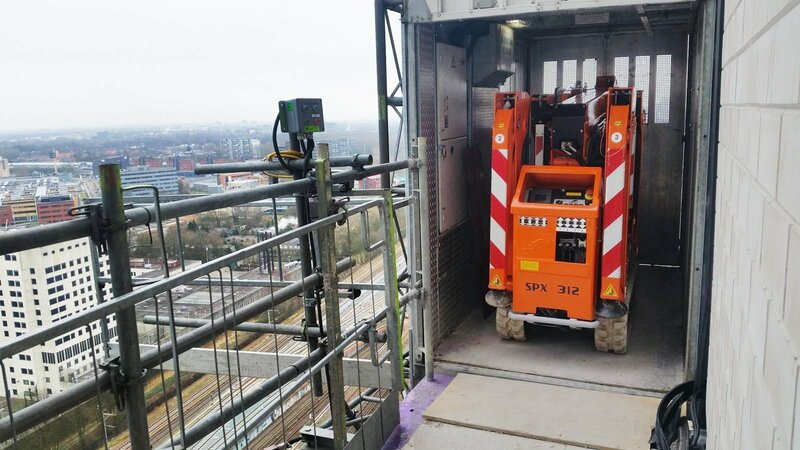 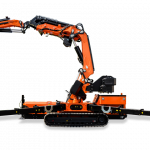 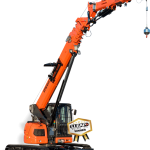 The SPX312 model is ideal for installation of glass panes: the crane works from higher floors and very rapidly and easily installs panes on the lower floors. 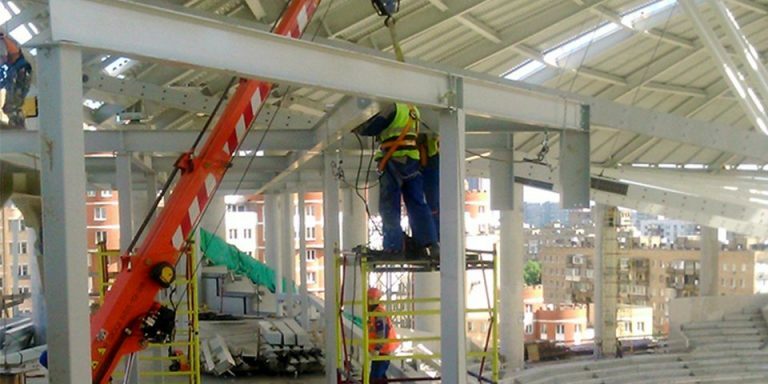 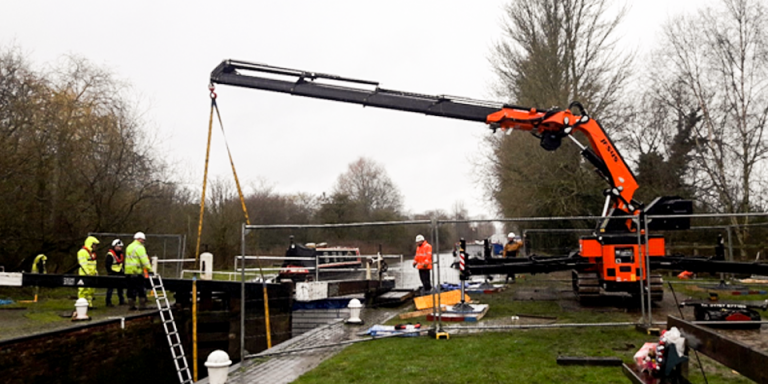 The work team is usually reduced to 1 or 2 fitters while efficiency improves in terms of time, cost and quality.